Here is the most recent Game of Thrones themed cake for the season six premiere. 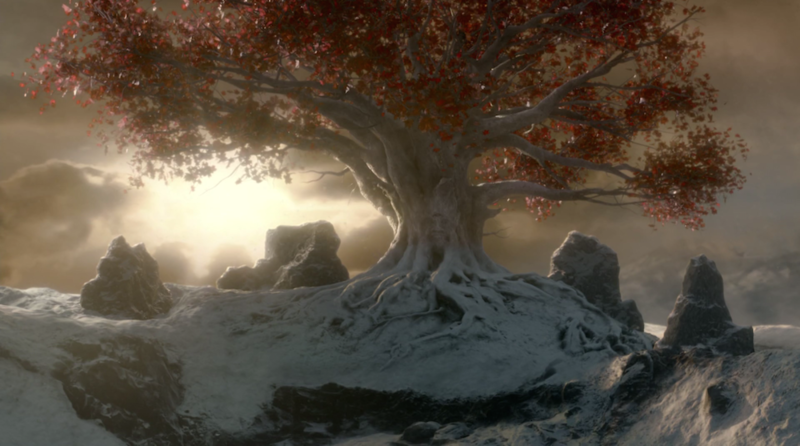 I tried to recreate the scene from Season Four when Bran arrives at the cave of the three-eyed raven beneath the Weirwood tree and all those crazy skeleton creatures attack them. So still no recipe, this is just a brief "how-to" for inspiration and bragging rights. 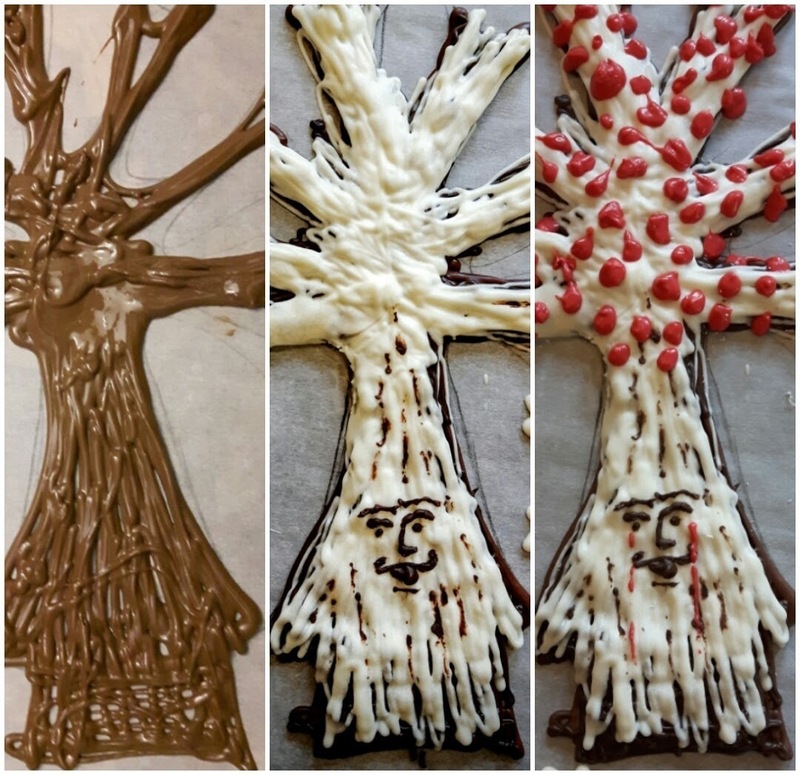 For the cake topper: I layered four different colours of chocolate moulding wafers to make the tree starting with milk, dark, white, then red. I pretty much winged it, except I drew a tree outline onto some parchment paper to guide the first layer. I made sure to make an extra long tab at the bottom so I could plant it into the cake. 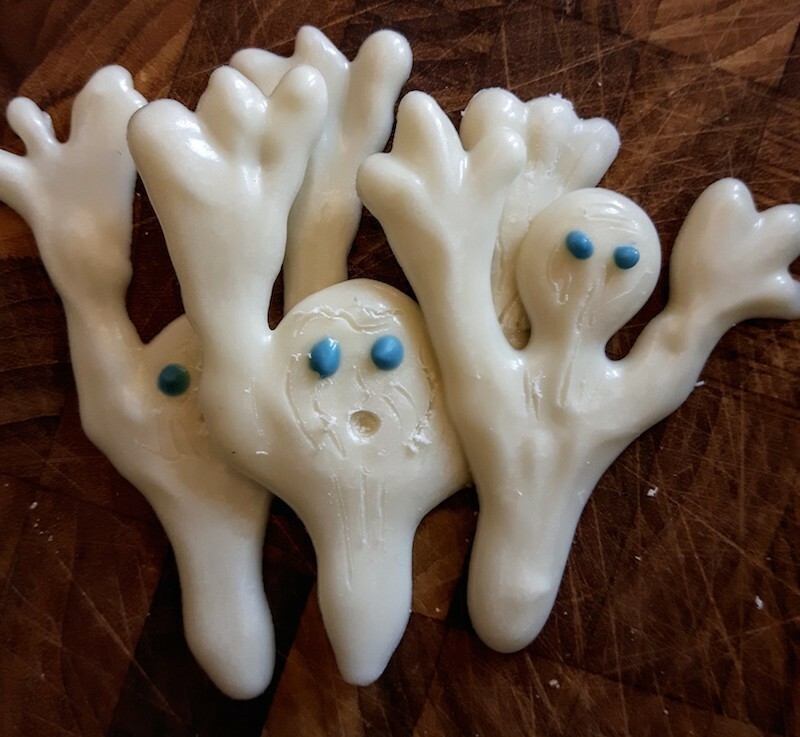 Then I made the creatures out of white chocolate. For the cake: I made a simple vanilla cheesecake (recipe from the Joy of Cooking) and swirled in some pureed raspberries for "blood". 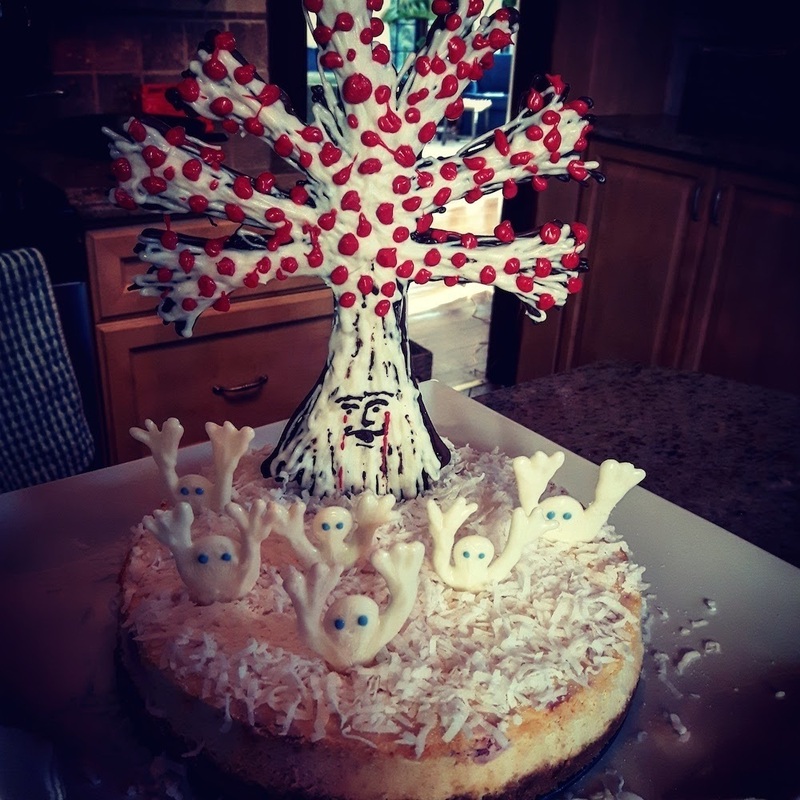 To assemble: After the cake had fully cooled, I inserted the tree and creatures into the cake and sprinked the whole thing with coconut flakes for snow. Amazeballs. Not too proud of these little guys... But they add a certain "cute" factor to the whole thing.